Being married makes for a healthy heart, while being divorced or widowed is linked to higher rates of cardiovascular disease, according to a study of 3,5 million people released Friday. The study is the largest of its kind to show how heart health is linked to marital status, and was presented at the American College of Cardiology conference. "These findings certainly shouldn't drive people to get married, but it's important to know that decisions regarding who one is with, why, and why not may have important implications for vascular health," said lead author Carlos Alviar, cardiology fellow at New York University Langone Medical Center. People who were divorced had a higher likelihood of any vascular disease, abdominal aortic aneurysm, coronary artery disease and cerebrovascular disease when compared to single people, according to the study. Widowers showed slightly higher odds of any vascular disease and coronary artery disease, also when compared to people who had never been married. "The study demonstrates that other risk factors, such as smoking and obesity, hypertension, diabetes and being sedentary also increases with being divorced or widowed, said Suzanne Steinbaum, director, women and heart disease, at Lenox Hill Hospital in New York. "As married people are more likely to help each other stay healthy, by making sure their spouse eats well, exercises, takes medications and helps in attending doctors appointments, married people tend to have less risk for heart disease," added Steinbaum, who was not involved in the study. Researchers were surprised to see that the health association was strongest in people under age 50. "The association between marriage and a lower likelihood of vascular disease is stronger among younger subjects, which we didn't anticipate," Alviar said. 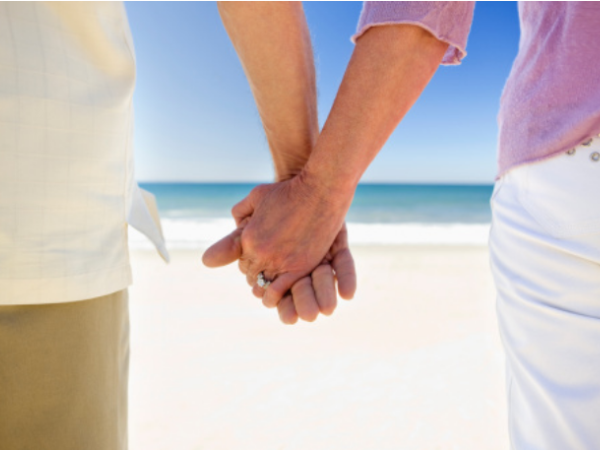 In this group, marriage was linked to a 12 percent lower odds of any heart or artery disease. Among those aged 51 to 60 there were seven percent lower odds of heart disease, and four percent among those 61 and older. The patients in the study came from a US database of 3,5 million people who paid $100 to be part of a screening program. Participants came from all 50 states from 2003 to 2008. Since those involved were paid participants, they might not represent the general population, study authors noted. Also, there were low numbers of minorities included. And while the study found that marriage made for a healthier heart, one thing the research could not measure was the health of the marriages. "Of course, it's true that not all marriages are created equal, but we would expect the size of this study population to account for variations in good and bad marriages," Alviar said. Perhaps further research could shed light on how changing life events impact heart disease, he added.